The summary report of the first ever PNG New Voices conference highlights the enthusiasm of Papua New Guinea’s young people to participate in debate about PNG’s economy and international outlook in the Asian century. Conference participants called for higher-quality leadership and the creation of opportunities for Papua New Guineans to prosper through investment in human resources, agriculture and the entrepreneurial skills of young people. The Lowy Institute for International Policy convened its annual New Voices conference in Port Moresby, Papua New Guinea on 22 October 2012. It was the first time this conference has been convened outside Australia. The conference assembled approximately 120 emerging leaders from the private sector, government and civil society. Speakers addressed issues such as the direction of the national economy, the impact of the Asian Century on Papua New Guinea’s international choices, and the growing popularity and influence of social media. Participants were overwhelmingly positive about the future of their country and enthusiastic about international engagement, particularly with the fast-growing economies of Asia. The following provides a summary of the discussion around the key themes of the conference. The report is written on a non-attributable basis. 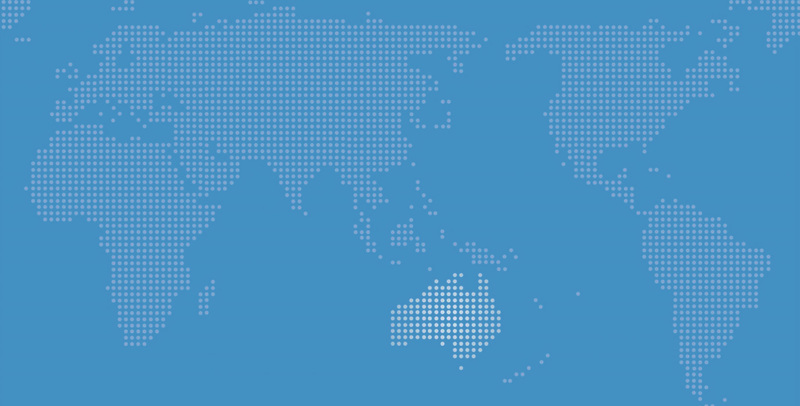 More information about the conference is available on the Lowy Institute’s website, www.lowyinstitute.org. It was important for young people to have leaders who inspired them. Politicians, as a rule, did not offer the kind of leadership which inspired Papua New Guinea’s youth. They were perceived too often as working for themselves rather than serving the country. Young people wanted to see their politicians behave ethically and they felt leaders had failed to meet their expectations. Papua New Guinea’s leadership did not have a strong record of demonstrating strategic vision in their decision-making. Governments tended to focus on what they needed to do to stay in power rather than make transformative decisions for the future. It was essential that Papua New Guinea achieved economic growth that benefits all of its citizens in a meaningful way. Despite past inadequacies in government, there was now capacity to tackle development challenges. National strategic planning documents had provided a blueprint for the way forward but implementing the right policies was another matter. The government knew what it had to do. More investments were required in health, education, infrastructure and support for private sector development. Papua New Guinea had a high cost structure. One way of overcoming this was to invest in public-private partnerships which would allow for delivery of goods and services, energy supply and national land development. Corruption was a major problem for Papua New Guinea and was growing. Governance had to be improved. The public sector needed to be protected from unnecessary political pressure. Boards of state-owned enterprises needed to be quarantined from undue political influence. Quality institutions were important not only at the national but also at the sub-national level. The medium-term fiscal strategy was guided by sound spending and management of risks, helped by good revenue. The strategy sought to increase expenditure in real terms per capita. But more effective expenditure in service delivery was required. Very little planning had been done that envisaged the future of the nation without resources wealth. Improving financial inclusiveness was an important way to grow the economy. The Bank of South Pacific, for example, was partnering with mobile phone company Digicel to expand their rural bank network. Applications like Mobile Money were giving the unbanked access to bank services. Rural Papua New Guineans made up the vast majority of the population but many felt sidelined by the government. The government, focused on the country’s wealth in minerals, partnered with foreign investors but did not appear to be partnering with its own citizens to promote the occupation of the majority – agriculture. Farmers needed access to markets to generate income. Rather than be dependent on royalties from mines which did not make use of the skills of most communities, people in rural areas wanted to earn a cash income from their farming or fishing skills. Participants challenged the Papua New Guinea government to form a partnership with its own people. The creation of an independent body which could assist Papua New Guinean farmers find markets for their produce would be useful. Greater investment in local processing of major commodities like coffee and cocoa was also important. Agriculture and fisheries could be the driving forces behind a comprehensive economic transformation that delivered more equitable and sustainable growth. There appeared to be a much greater focus in Papua New Guinea on national or government-driven development than on human development. Papua New Guinea had vast minerals resources, and sustainable exploitation of these resources would contribute to growth for years to come. But the country would not truly progress unless it invested in its human resources and considered replacing our reliance on our natural resources with knowledge resources. Heavily reliant on mineral resources, Papua New Guinea had limited local expertise and has not considered alternatives to natural resource exploitation. If Papua New Guinea was to embrace relationships with other countries and entities, it had to look beyond the mining industry and overhaul its workforce. Papua New Guinea’s education system was inequitable. More needed to be done for high-school graduates who did not qualify for tertiary studies. Life expectancy for Papua New Guineans was low, at 62 years of age for men and 65 years for women. This reality meant it was important that young people were encouraged and given responsibilities in the life of the nation. Despite frustrations with political inaction and corruption, conference participants were determined to act to bring about positive change for their communities and their country. A range of initiatives by entrepreneurial young people were discussed. The new glossy publication, Stella Magazine, was created to provide an outlet for creativity. The magazine countered the stereotypical image of Pacific Islanders as either noble savages or victims by showing complexity and positivity in their portrayals of women. Publishing positive stories of the women of the Pacific would help to bring about attitude change. The Voice Inc was a vibrant youth development organisation which believed that young people were leaders creating the future today. The organisation provided educational programs to assist young people discover their purpose and gain confidence to contribute to their communities. The Voice Inc runs courses at university and high-school levels called “DREAM”: Drive, Relationships, Experiences including education, Attitude and Mission statements for our lives. The program aimed to help young people stand up and take leadership roles. The thinking behind the program was that no-one benefited from young people staying silent. Radio was a powerful tool for the dissemination of information. Tribe FM, the proposed radio station for young people at the National Broadcasting Corporation, is designed to serve the growing youth population of Papua New Guinea. Tribe FM was a weekly radio program but there were plans for it to become a fully-fledged station. Young people saw leaders ignoring major issues. The Tribe’s rule was to create a forum for young people to discuss problems and find ways to solve them. Key issues affecting young people included unemployment, poor education, social problems like criminality, drug and alcohol abuse, and prostitution. Tribe FM was seeking to use both traditional and new (social) media to connect with young people. The expansion of the mobile phone network and take-up of mobile phones enabled people to connect much more easily with family and friends throughout the country. Tribe FM could connect with young people via SMS, Facebook and Twitter. Papua New Guinea’s young people had expressed concerns about the social injustice that accompanied some development projects. The forced evictions, destruction of homes, and relocations that accompanied the marina and hotel development at Paga Hill were an example of the lack of respect for human rights and for people in the development process. There were various ways to protest these injustices and other serious societal problems such as domestic violence and HIV. One way was to use art to resist peacefully and force people to listen. The rising influence of social media was a new phenomenon in Papua New Guinea that has coincided with and been enabled by the dramatic take-up of mobile phones. Much of the social media activity was generated in the urban centres of Papua New Guinea. Sharp Talk, an influential Facebook group, has generated significant debate on important issues including gender inequality, domestic violence, Chinese investment and the national elections. Membership of the group was about 8,900. The success of Facebook groups in Papua New Guinea was explained in part by the inability of the mainstream media to elucidate some complex, technical issues impacting on the country. In an environment where accurate information was difficult to locate, the information generated by social media debates such as occurs on Sharp Talk was picked up quickly by policy-makers and political advisers. One paragraph that appeared on a Sharp Talk discussion thread had even been converted into a government policy statement. Social media tools like Facebook were useful for enabling greater understanding of complex subjects. Steering or guiding the debate in a constructive direction was important but difficult. Traditional media remained important, despite its limitations. The traditional media, including radio and print newspapers, could put frameworks around the debates which then expanded on social media. Government also needed to be involved to correct any misinformation. While the majority of users of social media resided in urban centres, many urban Papua New Guineans maintained their traditional links with rural villages and culture, so issues affecting the rural areas and agriculture were also debated on social media. The usefulness of Facebook in interacting in the political arena was illustrated during the nation’s constitutional crisis in December 2011. Facebook messaging was used to organise demonstrations calling for an end to the political crisis. But the use of Facebook to seek to influence the political environment could also have negative results, as the very transparency which made debates on Facebook so popular also allowed opponents of an individual campaign to neuter its effectiveness. Papua New Guinea was heavily reliant on mineral resources and had not given serious consideration to alternatives to natural resource exploitation. In order to embrace relationships with foreign countries and entities, Papua New Guinea had to look beyond the mining industry and beyond its existing workforce. Papua New Guinea did not have a history of learning from other countries or of fostering its entrepreneurs. Papua New Guinea could benefit from learning from the development and management experiences of countries like China and Singapore. Innovative people needed to link with others who can convert innovation into new businesses. Strategic partnerships were important for Papua New Guinea. Participants considered that Papua New Guinea’s geostrategic focus was shifting away from the Pacific Islands at the same time as its leadership was sought after within the Pacific Islands region. Other Pacific Islanders looked to Papua New Guinea for leadership of the region in international forums because of its weight and its willingness to pursue interests with more aggressive diplomacy than was the norm in most Pacific Islands. But Papua New Guinea needed to go beyond the region to embrace new ideas and interact with the knowledge economies that could benefit its own development trajectory. Papua New Guinea was a regional powerhouse but this had come about mostly due to historical reasons. The Pacific Islands region was not of critical importance to Papua New Guinea’s future development. The nation’s future lay in better links with Asia. Papua New Guinea had to imagine itself as a nation before it could take proper advantage of its place in the Asian century. Refocusing engagement with countries that have had success in lifting themselves out of poverty would also benefit Papua New Guinea. Papua New Guinea’s development experience was more akin to Asia. Like many Asian countries, Papua New Guinea was colonised and gained independence at around the same time as Asian countries. Papua New Guinea has much to learn from Asia in terms of developing an effective public sector and management expertise. Papua New Guinea needed to look at strategic partnerships with Asian countries, including with China. Asia was becoming a much more attractive market and destination than Australia. But developing a strategic relationship with Asian countries may come at the cost of some of Papua New Guinea’s core values. Australia’s relationship with Papua New Guinea has been largely collegiate and friendly. It was not clear, however, that Papua New Guinea’s future relationship with Australia would provide as many interesting opportunities as relationships with Asian economies offered. The proposed PGK6 billion loan from China for infrastructure was perceived as a very significant development, both for Papua New Guinea’s relationship with China and for progress. Participants acknowledged that it was important not to generalise knowledge of Asia. The diversity and population of the Asian continent was massive. If Papua New Guinea wanted to work with Asia, it had to develop a more sophisticated understanding of the region. Compatibility between Asian and Papua New Guinean management would become an important element of Papua New Guinea’s future. Sport offered another useful mechanism for Papua New Guinea to interact with the world and helped the country’s quest for significance. The Olympic Games and the FIFA World Cup were the most viewed events in the world. The reach and following of sport were very powerful. Sport could take Papua New Guinea to a position of positive recognition in the world. A key aspect of sport was goal setting and achievement. Sport could improve Papua New Guinea’s standing abroad while also contributing to development. Sport could help play a role in meeting achievements in education and health; for example, promoting inclusiveness, addressing law and crime, alcohol abuse, raising school standards, and reducing obesity. It could help stimulate economies and offer positive role models for young people. The final message of the conference was directed at Papua New Guinea’s government. Participants called on the government in this extraordinary period of economic growth to create opportunities for ordinary people to improve their lives and prosper. Papua New Guinea had to start doing business differently. A better way of distributing or opening up wealth opportunities more broadly needed to be found. Better access to technology like the internet should be prioritised because of the transformative power of technology. Improved role models were identified as crucial. Young people had much to contribute and were very hopeful about their future. They wanted the government to hear their voices and were very keen for opportunities for dialogue with their national leaders. While the observations of participants at this conference should not be taken as representative of the entire youth population of Papua New Guinea, they nevertheless offered valuable insights into what the future of Papua New Guinea could look like if the country made better use of the talents of its young people. The Lowy Institute extends sincere appreciation to The Trust Company, the Australian Government through AusAID and the Swire Group for their financial support for this conference. The Institute also thanks our conference partners in Papua New Guinea, the Institute of National Affairs, Leadership PNG and the National Broadcasting Corporation. The Lowy Institute acknowledges The Myer Foundation which sponsors the Institute’s Melanesia Program.